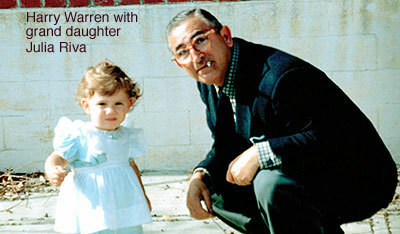 mwe3: I did not know you were related to Harry Warren. Is this more proof that greatness runs inside the family? You even got Harrys granddaughter Julia Riva to write liner notes, how did you arrange that? Harry was one of eleven kids born to his parents. Doug Munro: My great grandparents were Leon Charles Munro and his wife, Mae Bronson. Mae had been married before, her maiden name was Guaragna. Her parents where Antonio and Rachel Deluca Guaragna. My paternal grandfathers wifes brother was Harry Warren, my great uncle. I grew up in my grandparents house, my grandfather would often talk about my Uncle Harry, the famous composer who lived in Hollywood. When I was a kid I was way more into surf music, which on the East Coast we called garage rock, and then the Beatles etc... I was also into soul music and Latin styles. I always heard the Harry Warren songs growing up in that house but I didnt appreciate the music until later. When I started the project I reached out to Julia Riva, Harrys grand daughter. She administers Four Jays music, which controls part of Harrys catalogue. She was very supportive of the project. She gave us some nice quotes that we put in the liner notes as well as the great pictures of Harry you see in the booklet. mwe3: Youve made eighteen albums to date. Is that why a tribute album to your great uncle took so long? And can you explain the significance behind the title, while explaining the connection to La Pompe Attacks The Harry Warren Songbook? It sounds kind of sci-fi, (lol) because it sounds more like you are refining or distilling Harrys music rather than attacking it! Doug Munro: Ive been a closet Django Reinhardt fanatic my entire career. I never started to do recordings in the hot swing style until I started my own label. With the advent of digital technology the old model of the recording industry sort of collapsed. You could get music for free online. It wasnt legal or ethical but thats what happened. Most of the independent labels went away. I was signed to a few labels, most notably Chase Music Group. I was on that label for 15 years. It got to the point where I was able to do everything on my own that an independent label could do. The up side to all this was that by creating my own label I was able to pretty much release what ever I wanted and promote it as I felt best. So after many years of being caste as a jazz-fusion guy I was able to stretch a bit more and explore other areas that I liked. So, thats the long-winded answer to why I waited so long to do this recording. Now, La Pompe Attack, thats the name of my Gypsy swing group. We have two CDs out, A Very Gypsy Christmas and The Harry Warren Songbook. You are correct, the name of the group is a bit B movie Sci-Fi-ish. La Pompe is the vigorous strumming of the rhythm guitars in the Gypsy swing groups. La Pompe Attack translates as the attack of the vigorously strumming guitar players! lol! mwe3: What about the CD cover art? Its excellent. Tell us where youre standing on the album front cover? We all have our connections to Brooklyn and NYC as youre from Yonkers. How has New York changed for you over the years? Does it still have the magic? Doug Munro: Yeah, the cover pic is pretty cool. It was taken by Simon OKeefe. He did all the pics for the Harry Warren Songbook as well as all the videos including the documentary video about the project. The picture was taken outside an apartment building in Peekskill, N.Y. down by the Hudson River near the train station. Robert Mag did all of the layout and design for the CD cover and booklet. These guys are great artists and good friends! Ive lived in the New York area my whole life. Ive seen NYC ebb and flow with the times. To me its like a giant organism, the only way to really drastically change NYC would be to knock it all down and start from scratch, but I wouldnt want to change it. I think when people wax on that it was better in the old days they are mostly just longing to relive some fleeting memories of their youth. Right now the scene in NYC will be the good old days for some of the 20-somethings coming to try their luck in the big apple today. mwe3: How many Harry Warren songs did you choose from? I know you covered a lot of his most famous ones but you did omit Thats Amore from the movie The Caddy, but you got most of the big ones in there. I know Harry wrote 800 songs or so, are there some you wanted to do but didnt and would you consider a Volume 2 in the future? You mentioned in the one sheet that you recorded more than the sixteen songs you released on the CD. Doug Munro: I started by picking songs that would work well in the Gypsy Swing style. I love Thats Amore but I didnt think it would work well as a muzette because it didnt have a minor section. I probably went through about 30 songs and settled on the 16 on the CD. But, its really 14 Harry Warren songs because I included 2 original compositions. I dont plan on doing a Volume 2, it took a Herculean effort to complete the CD, with 4 sessions with 4 groups, everything played live and half of it filmed. It was a huge project! mwe3: Harry worked with many different lyricists including Mack Gordon and Ira Gershwin. Which of his lyricists do you prefer when it comes to Harrys songs? Its amazing to learn that Chattanooga Choo-Choo was the first gold record in history. Do you have any insights into the way Harry wrote with the lyricists? Harry wrote the melodies first? Where did Harry get his ideas from? Doug Munro: There is a great interview with Harry Warren done by Ian Whitcomb in 1972. Heres a link to the filmed interview on Youtube. Harry Talks about a lot of his songs. He says that he couldnt really tell you how he wrote. I think he did his best stuff when it was for specific parts in films. He talks about it in the interview. I actually got permission from Ian to use some of the footage in the documentary we made about the Harry Warren Songbook CD, heres the link. I dont really have a favorite lyricist, I think that all the cats were great! mwe3: Harrys songs appeared in 300 movies and over 100 Warner Bros. cartoons. Which movies and cartoons that featured Harrys music do you think were the best and/or most influential? Doug Munro: Well, Were In The Money from the Gold Diggers Of 1933 is still one of my all time faves. In the middle of the song Ginger Rogers comes out and sings the melody in pig latin. I liked it so much I did it on the Harry Warren Songbook CD! Theres also a horror movie from 2001 called Jeepers Creepers. They use Harrys song in the most unexpected way! mwe3: Did you film any of the Harry Warren tribute recording sessions? You say there are some videos. A project like this would deserve a wide scope documenting the project. What led you to record the album on four different sessions with four different groups of musicians? It was all recorded last summer? Doug Munro: Yes, we filmed nine performance videos plus the documentary linked above. Here are links to all the performance videos. I recorded it in four sessions because I wanted to get as many players as I could on the CD. It was crazy coordinating schedules so we wound up with four dates. Everything went down live. You can watch the actual recorded tracks as they are being performed on the videos. We recorded everything in the summer of 2016.
mwe3: Can you mention some of the guitars you and the other players feature on the Harry Warren tribute album? Are they all vintage guitars? We were discussing about the old 20th century guitar mag days, so of course Im interested in your guitars. Did you, Howard Alden, Vinny Raniolo, Vic Juris and the other players use similar type of guitars and what else can you say about guitars played on the album? Sounds like an electric guitar was used in the intro to your version of Forty Second Street. Doug Munro: I love talking about guitars, so I guess Ill start with my guitar. Its a hand made custom Legend 503 built by John Kinnard for Alain Colas DellArte guitars. It is an extremely close replica of Django Reinhardts Selmer #503 that sits in a museum in Paris, France. Its an amazing instrument, it was built in 2011 and it just keeps sounding better and better as the years go by. The electric sound that you hear on Forty Second Street is that same guitar fitted with a Dupont reissue of Djangos Stimer pickup. Its played through a modded 15 watt special edition tweed Fender Blues Junior amp. 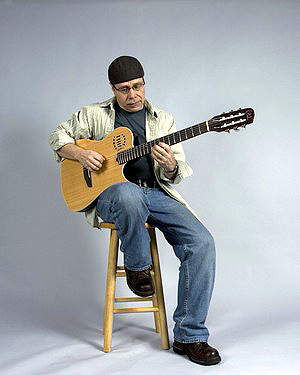 Vinny Raniolo is playing a Collings acoustic guitar. Sadly I just heard that Bill Collings had passed away. He was a great, uncompromising luthier of the highest quality. 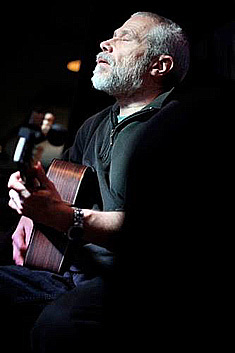 Ernesto Pugliese also played a DellArte guitar. Its a prototype version of their Swing 42 Palo Escrito guitar. Howard Alden was playing his amazing Benedetto 7 string guitar through an amp. 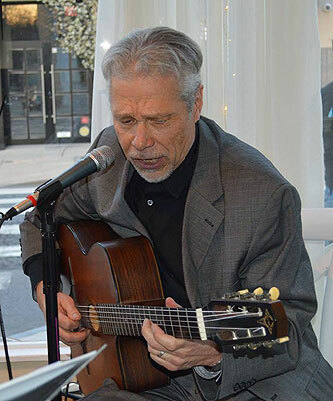 Rhythm guitar to the biggest names in Gypsy jazz, Ted Gottegen, played on a Favino guitar that was specially made for him. It has the traditional D hole or Grande Bouche, but, it is smaller than the normal D hole. It is an amazing sounding instrument! Vic Juris had a Custom made Borys that looked like a 335 except maybe a little deeper. I dont know if it was semi hollow. I do know, however that it sounded fantastic! He played through a small amp too. mwe3: Did you choose to include the other guitarists who play on the CD to make the album very guitar-centric or is that how you hear Harrys music? What else can you tell us about the other guitarists who play on the album as theyre all quite accomplished recording artists in their own right too. Did you add violin to enhance the Django connection to the sound? Who else was key to the albums success including the engineers and I also see Robert Mag worked on the cover design. Hes another great singer-songwriter too! 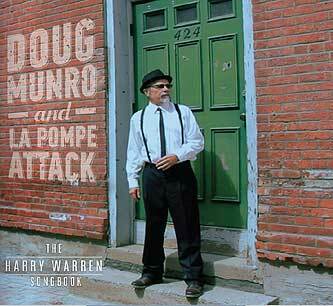 Doug Munro: The Gypsy Swing style is based on an all string band, guitars, bass and violin. So, yes I definitely set out to make this a guitar-centric CD. I actually didn't get everyone I wanted. I also wanted to include Frank Vignola and Bucky Pizzarelli. 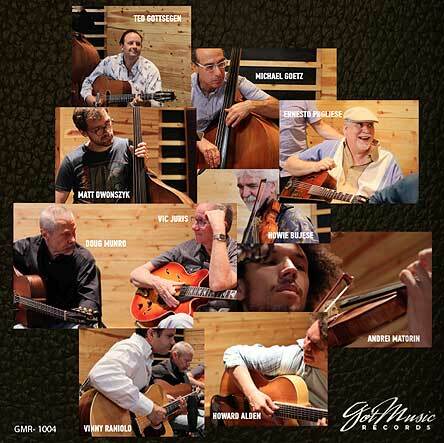 The guitar players on this project are all fantastic! 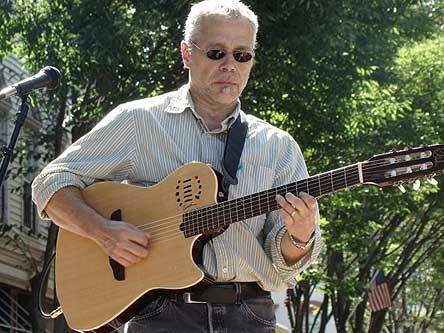 Ernesto Pugliese is a great guitarist out of the Philly area, who now lives in NY. You may remember him from way back when he used to review CDs for some jazz publications. He was the first guy that I played Gypsy swing with on the bandstand. 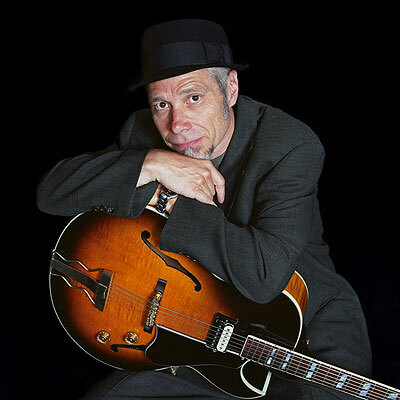 As mentioned before Ted Gottsegen is a world-renowned Gypsy Swing rhythm guitarist. 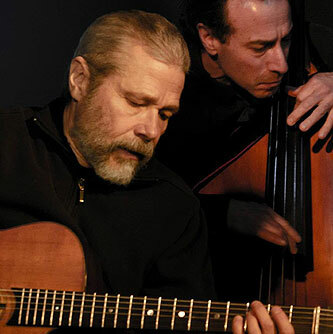 He has toured with the biggest names in modern Gypsy jazz. 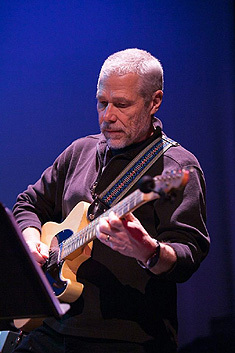 Howard Alden is a well-known name in guitar circles. He's an amazing player in the George Van Eps tradition. He also did all the guitar parts for Sean Penn's movie Sweet And Lowdown where Sean Penn is the second best Gypsy guitarist next to Django Reinhardt. It's a great movie! 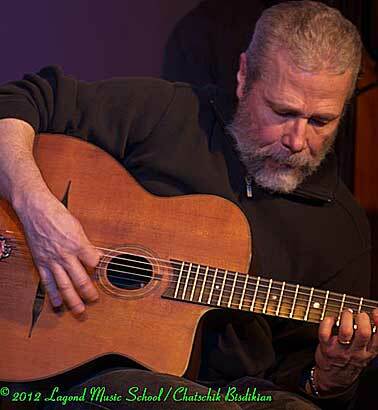 Vic Juris is another well known jazz guitarist who has a singular voice on the instrument. I was so happy to have him on the recording! Vinny Raniolo is a young cat, who is making a name for himself internationally. He is best known for his work with the great Frank Vignola. Django Reinhardt's partner up until the start of World War II was violinist Stephane Grappelli. We have two fiddlers on the CD. Howie Bujese was one of the first cats I played this style with. He is mostly known for his amazing bluegrass work. Andrei Matorin is a young cat on the scene in NYC. I met him at the Litchfield Jazz Camp where I do a residency each year. The engineer is Adam Pietrykowski. He's a masters student at Purchase College where I teach. My longtime friend Peter Denenberg did the mastering for the CD. The videographer/photographer is Simon O'Keefe. He did all the videos and the documentary. My long time friend Robert Mag did the design and layout for the cover and booklet. It takes a village to make a CD! mwe3: Did you choose to arrange Harrys songs in the spirit and style of Django and Stephane Grappelli because thats your favorite guitar style to play in or was it to give the music a kind of hipper, retro-tinged 21st century flavor? Did Harry know Django Reinhardt? Because as you say their music came out of the same period. Its amazing how many different artists have covered Harrys music, Ive even heard surf-rock instrumentals of his songs. Doug Munro: Yeah man, for sure Django knew who Harry Warren was. He covered a lot of his compositions including "Nagasaki" and "Jeepers Creepers". I don't know if Harry knew Django but my guess would be that he did. I can't say that Gypsy swing is my favorite style to play. I would say that it is one of my favorite styles. I still love Brazilian, Afro-Cuban, Bebop, Soul Jazz, funk etc. I just love music, period. mwe3: You also wrote a couple of tributes to Harry which compliment the album. Tell us about your own Blues For Harry and You Again? Both are the only two non Harry Warren songs on the album. What do they bring to the album? Doug Munro: I still fancy myself a composer so I wanted to put a couple of my compositions on the CD. "Blues For Harry" is pretty much a straight Bebop style blues more for the Django side of the equation. "You Again" is a contrafact written over the chord changes to Harry Warren's "There Will Never Be Another You". That tune is more Harry-centric. mwe3: I didnt know you had a bad accident when you were 20, which resulted in you quitting your drums and turning to guitars in 1977. Seems like so many people have these life changing accidents but in your case it yielded some positive outcomes. Do you still play drums sometimes although your albums dont have drums usually! Any other memories of Yonkers? Where are you living these days? Doug Munro: That was a tough period for me. I had always played music, it was a very natural thing for me to do. By time I was 14 I was playing all the school and church dances all around Yonkers and lower Westchester. I also loved sports, especially gymnastics. To make a long story short I wound up fracturing my 3rd lumbar vertebrae. It never healed right and I eventually underwent a bilateral fusion of my spine from L3 to S1 in September 1977. For the next year I was on welfare, I couldn't work. I laid on my back and played guitar all day, every day. After that year I could play guitar. It became my new instrument, the symbol of my new life after surgery. I don't think I'm very good at guitar, I guess that's what's motivated me to keep practicing all these years! Yes, I still occasionally play drums but I don't really have any chops because I don't own a drum set. As far as living in Yonkers goes, I really never wanted to leave Yonkers. Anyone that knows me knows that Yonkers was my home. That was my comfort zone. I never wanted to leave, but hey, life happens! mwe3: Times have sure changed for the record labels and even the print mags. Whats your take on the current state of the music business and is that why you started your own label Got Music Records? Doug Munro: Well you know, things change. I got in the music biz at the beginning of the "rock as popular music" era. All the jazz guys hated it. All the composers hated it because the groups wanted to write everything themselves. The session guys hated it because the bands wanted to play everything themselves. The labels loved it because they could make a ton of money. Media loved it because they could market worldwide. All these things came together and formed the next 40 years of the music biz. Now things are changing again. Artists are angry because they can't sell their music, you can download it for free. All the small labels became useless because now any person can distribute their product as well as any small label. The big labels are changing gears and going back to single person celebrities that are not just singers. They are also dancers and actresses and designers etc... The music business is not over, it's in a state of change. mwe3: Youve also done quite a bit of arranging and production work. What about your favorite production work? You also won an Academy Award, 20 years ago for your work on the Muhammad Ali documentary. Tell us more about your work on the Vitamin Records releases... Im pretty sure I remember those! Doug Munro: Yikes! We are opening up a big can of worms here. Okay, Ill try to see what I can remember and keep it brief. Most of my production work came from my long association with producer Joe Ferry. Hes the one that introduced me to that whole NYC scene. Before that I was doing arrangements for HS concert/jazz bands, shopping pop songs at the music building at 1500 Broadway and a little writing and arranging for jingles. The first major run of work I did was with Joe Ferry through Shanachie Records. We did a series of CDs called The Soul Of R&B. We worked with pretty much all of the top NYC session guys and a lot of great R&B stars like Rufus Thomas and Chuck Jackson. We also brought in rockers/blues celebs like Todd Rundgren and Jimmie Vaughan. The series culminated in a live concert that was filmed and released on VHS (lol!). It was called The Soul Of R&B Revue. There were so many cats on it. I cant remember them all. Just the band itself was incredible. Dave Weckle on drums, Will Lee on bass, Cornell Dupree on guitar, Richard Tee on piano along with Crispen Ciao and the Uptown Horns. There were also 3 or 4 backup singers. Billy Vera was the MC. for 10 years! We did tributes to everyone from Enya to Metallica, crazy! I also did a string of Boogaloo records for Scufflin Records, a subsidiary of Vitamin Records. Our first record was Boogaloo To Beck, It featured Dr. Lonnie Smith on B-3, David fathead Newman on tenor, Lafrae Sci on drums and myself on guitar. It featured the music of pop artist Beck Hanson. The record was a huge hit. I like to think it helped get Dr. Lonnie signed to Palmetto Records. After that we got the green light for Boogaloo projects playing the music of the Beastie Boys, Kanye West and MnM. I also did a few Bossa Nova covers for them of artists like Feist. A few years ago I did a full blown orchestration of the Frank and Vinny Show for Frank Vignola and Vinny Raniolo. This was a super huge but fun project where they hired me to take their existing show and orchestrate it for full symphonic orchestra. The end result is that they are able to play a pops style concert with very little rehearsal. The orchestra practices the score and then Frank and Vinny just do their show. The two fit together seamlessly. It was a masterful move on the part of Frank! I think they have done the show with 3 different orchestras and its worked great each time. mwe3: Back in 1993, you also founded the jazz studies program at Purchase College upstate N.Y. and youre still on the faculty there too? How does that fit in with your music education work as well as writing musical education books about jazz guitar technique? Do they go hand in hand? Tell us something about Purchase. of all places! Each semester I got more students and I also started teaching all the jazz elective classes. There was no jazz major at that time. In the fall of 1991 we got a new Dean Of Music, Donald Steven. He approached me and asked if I would be interested in creating an official under grad and masters course of study. I spent the summer of 1992 researching what other colleges were offering and then writing my dream curriculum. In the beginning the main thing that separated our Jazz program from most other colleges was that our students took jazz classes starting in their first semester. Many other colleges were classical study for the first two years and then two years of dedicated jazz study. We started in the spring of 1993 with ten students, all internal transfers. We grew to our target size, eighty under grad and twenty masters, in a few years. I ran the program for ten years, then Todd Coolman ran it for ten years and now Pete Malinverni is the head of the program. Next year we will be celebrating the 25th anniversary of the Jazz Studies program at Purchase College, its hard to believe! Im still faculty there, its the closest think to a straight job I ever had. On the book front I am switching over to video streaming and PDF downloading instead of the traditional hard copy book. I did three books for Warner Bros. Publishing and one for Alfred music. Im not against writing a traditional book, I just dont think there is any money in it anymore. Im doing a lot of work with an online guitar instruction site called TrueFire.com. mwe3: With so much going on, what else are your planning for the second half of 2017 and even looking ahead to 2018? Good to hear and see this great new music from you so lets hope therell be some more! Doug Munro: The rest of 2017 is mostly dedicated to shows promoting The Harry Warren Songbook. Im still doing a bunch of gigs at smaller venues and working as a sideman for other artists. Right now I dont feel like making another CD. Its a lot of work being your own label! The only new project I would consider would be a recording built around the Fender Telecaster guitar. I really love that instrument. I would enjoy writing a set of music specifically to highlight what the Tele can do. If the muse hits me, who knows!